Mónica de Miranda was born in 1976 in Porto, Portugal. She currently lives in Lisbon, Portugal. 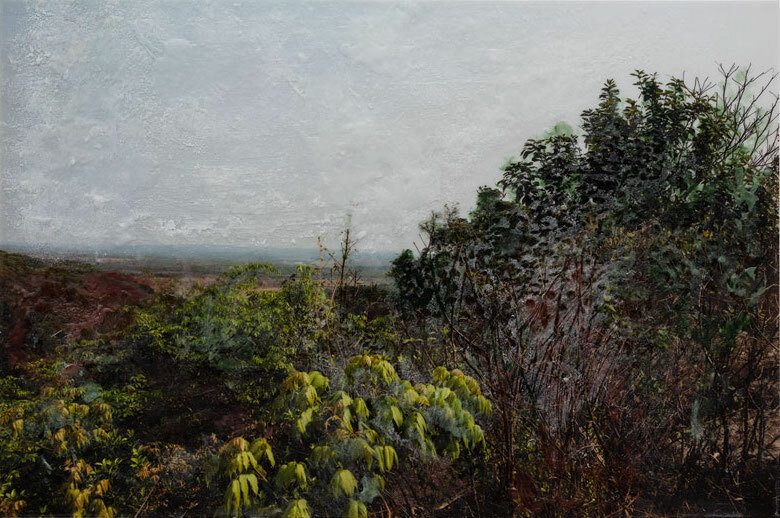 Working in photography, mixed media and video, de Miranda deals with themes of geography and identity, expressing quiet visions of personal history and exploring the poetics of belonging. She received her PhD in Visual Art from the University of Middlesex in 2014, having previously completed a Masters in Art and Education at the UCL Institute of Education in London, as well as a BA in Visual Arts at Camberwell College of Arts. A researcher as well as an artist, she is the founder of the Project Hangar at the Centre of Artistic Research in Lisbon, as well as helping to found the Triangle Network, an artistic residency programme. 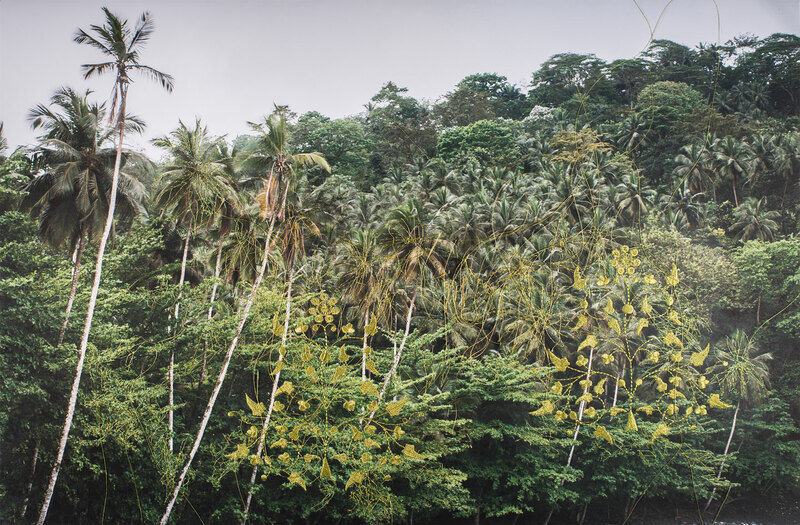 She is a 2019 finalist for the Fundaçao EDP New Artists Prize, and in 2016, she was nominated for the Novo Banco Photo Prize, as well as being shortlisted for the Prix Pictet Photo Award. 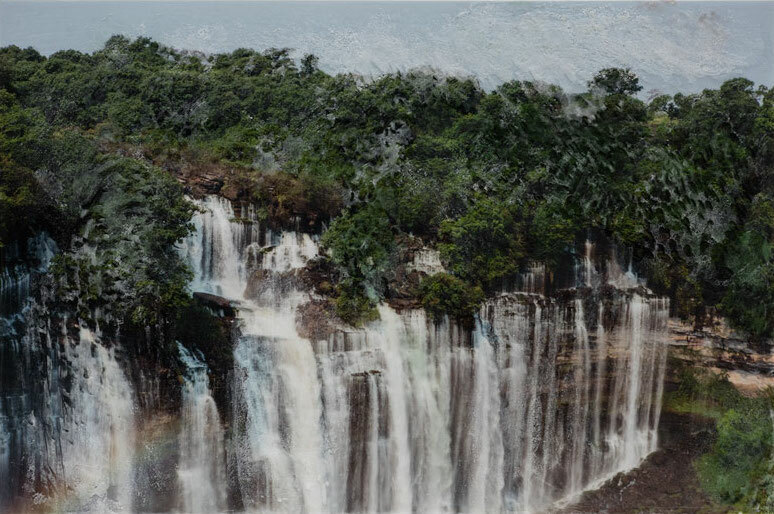 Selected solo shows include Panorama, Galeria Banco Económico, Luanda, Angola (2018); Tomorrow is Another Day, Carlos Carvalho Gallery, Lisbon, Portugal (2018); Transfer, Académie des Beaux-Arts (ABA) Kinshasa, Democratic Republic of Congo (2018), Panorama, Tyburn Gallery, London, UK (2017), Atlantic – Journey to the centre of the earth, Sabrina Amrani, Madrid, Spain (2017), Hotel Globo#2, Espaço Espelho d’Água, Lisbon, Portugal (2016), Arrivals and departures (2016) at the Palácio D. Manuel in Évora, Portugal, Hotel Globo (2015) at the Museu Nacional de Arte Contemporânea do Chiado, Lisbon, Arquipélago (2014) at Galeria Carlos Carvalho , Lisbon, Erosion (2013) at Appleton Square, Lisbon, and An Ocean Between Us (2012) at Plataforma Revólver, Lisbon, as well as her 2008 show Novas Geografias, which travelled to 198 Gallery in London, Imagem HF in Amsterdam, and Plataforma Revólver in Lisbon. 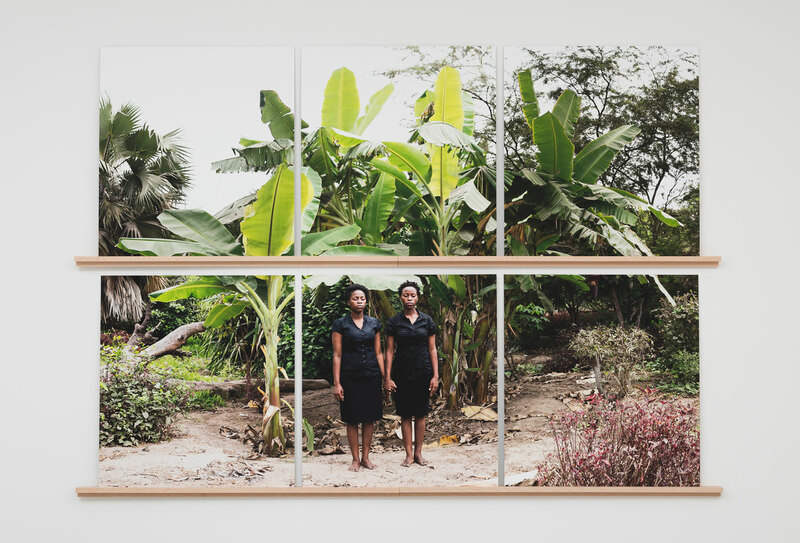 Recent group exhibitions include Being Her(e): Meditations on African Femininities, Galeria do Banco Económico, Luanda, Angola (2017), UNTITLED, Tyburn Gallery, London, UK (2017), Doublethink Double Vision, Pera Museum, Istanbul, Turkey (2017), Le jour qui vient, Galerie des Galeries, Galeries Lafayette, Paris, France (2017), Exposição Daqui pra frente: Arte contemporânea em Angola, CAIXA Cultural, Rio de Janeiro, Brazil (2017), A Representação da Figura Humana em Angola, Galeria This is Not a White Cube (TINAWC), Luanda, Angola (2017), The other when we are not looking, FCT/UNL, Almada, Portugal (2017), Technologies of Violence, Centro de Art Santa Mónica. Barcelona, Spain (2016), Contemporary African Art and Aesthetics of Translations, Dak’Art Biennale de l’art Africain Contemporain, Dakar, Senegal (2016) and Uma Delicada Zona de Compromisso, Quadrum Galeria de Arte, Lisbon, Portugal (2015). 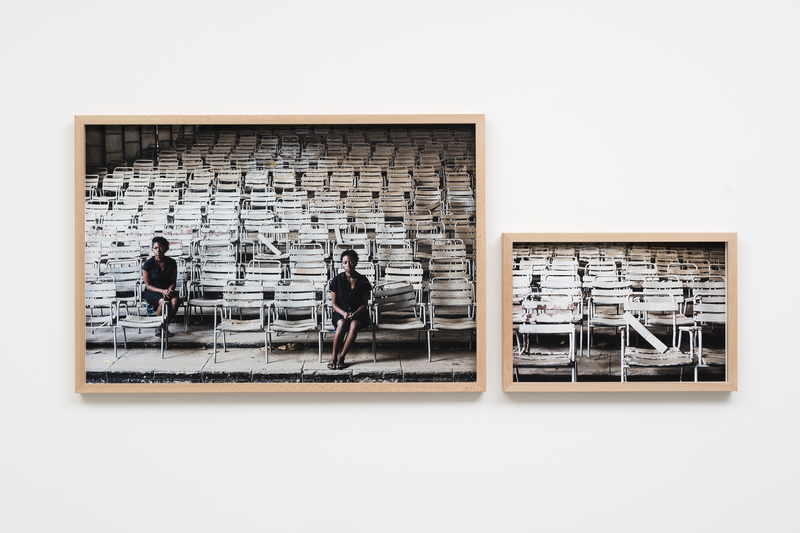 As an artist of Angolan descent, de Miranda identifies as an artist working in the African diaspora, and her work has resonated strongly in exhibitions such as Contemporary African Art and Aesthetics of Translations at the 2016 Dak’Art Biennale of African Contemporary Art in Senegal, and Telling Time at the 2015 Rencontres de Bamako Biennale of African Photography in Mali. 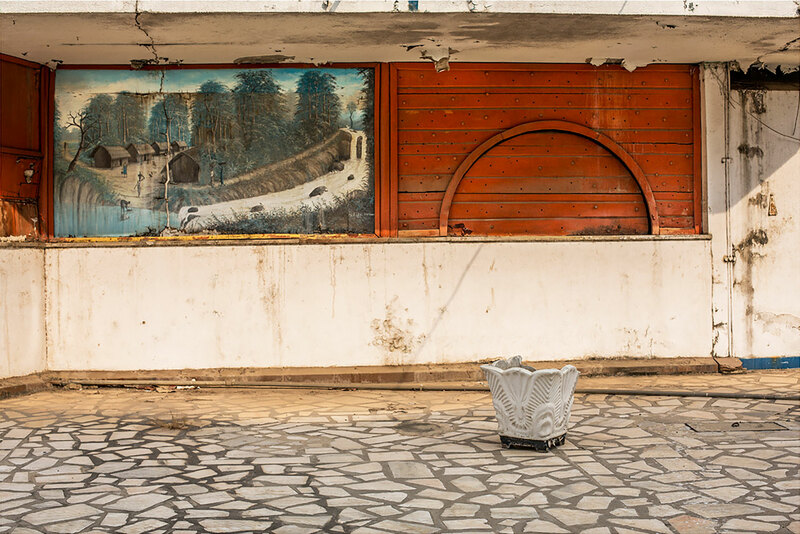 In 2018, the artist participated in residencies at institutions including the Red Gate Gallery in Beijing, China; Instituto Camões in Maputo, Mozambique; and Académie des Beaux-Arts in Kinshasa, Democratic Republic of Congo. 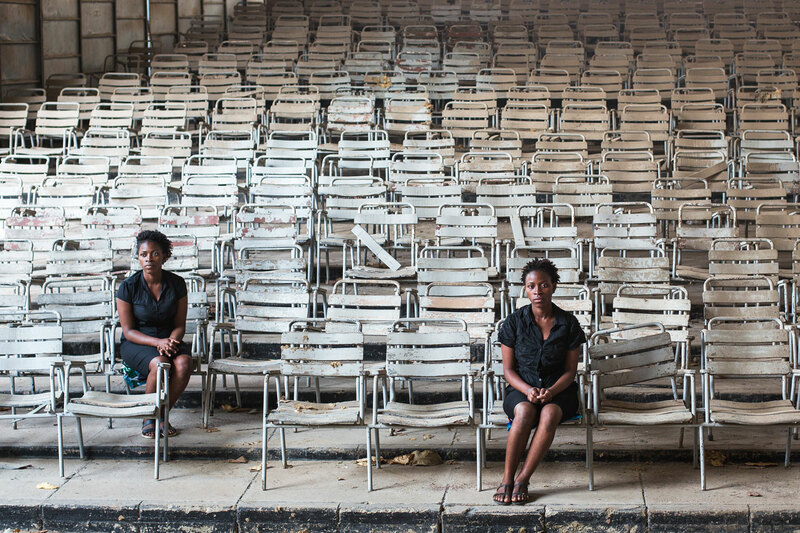 Other past residencies include Artchipelago (French Institute, Mauritius, 2014), Verbal Eyes (Tate Britain, London, 2009), Muyehlekete (Museu Nacional de Arte, Maputo, 2008), and Living Together (British Council/Iniva, Georgia/London, 2008). 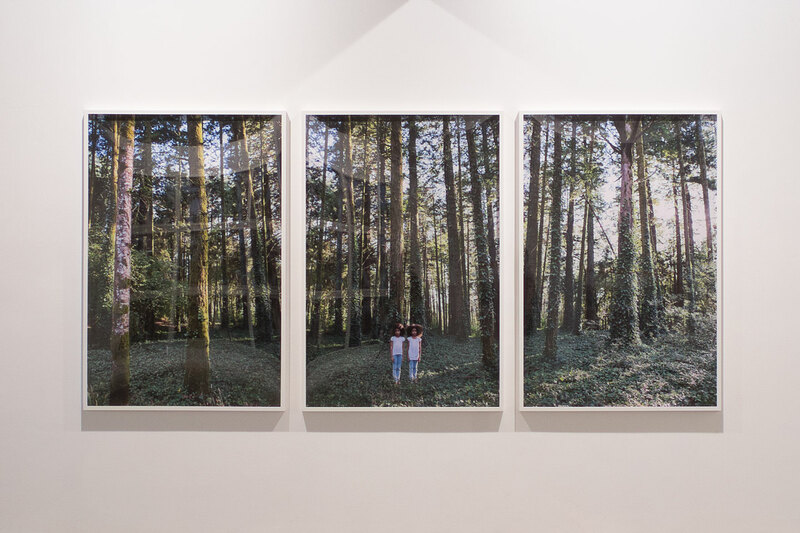 Her work is part of a number of collections, including that of the Museu Nacional de Arte Contemporânea do Chiado (MNAC), the Arquivo Municipal de Lisboa, the Centro Cultural de Lagos, the Fundaçao Calouste Gulbekian and the Soho House Collection. PhD Visual Art, University of Middlesex, UK. MA Art and Education, Institute of Education London, UK. BA Visual Arts, Camberwell College of Arts, UK. 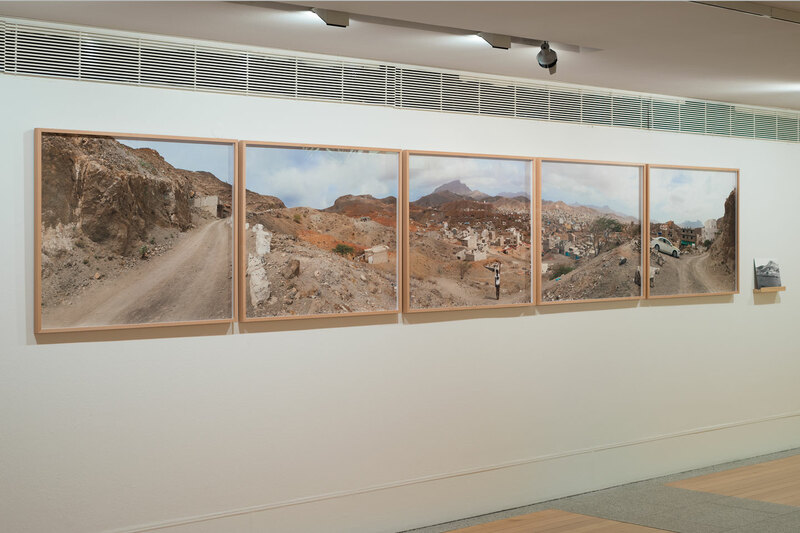 Panorama, in association with Gallery This Is Not a White Cube (TINAWC), Galeria Banco Económico, Luanda, Angola. Tomorrow is Another Day, Carlos Carvalho Gallery, Lisbon, Portugal. Transfer, Académie des Beaux-Arts (ABA) Kinshasa, Democratic Republic of Congo. Atlantic - Journey to the centre of the earth, Sabrina Amrani, Madrid, Spain. 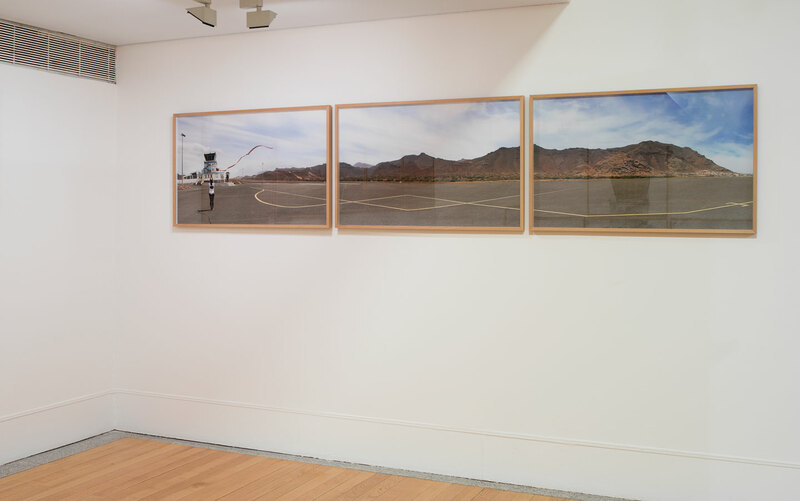 PANORAMA, Tyburn Gallery, London, UK. Arrivals and departures, Palácio D. Manuel, Évora, Portugal. Hotel Globo, Museu Nacional de Arte Contemporânea do Chiado, Lisbon, Portugal. Arquipélago, Galeria Carlos Carvalho, Lisbon, Portugal. Erosion, Appleton Square, Lisbon, Portugal. An Ocean Between Us, Plataforma Revólver, Lisbon, Portugal. 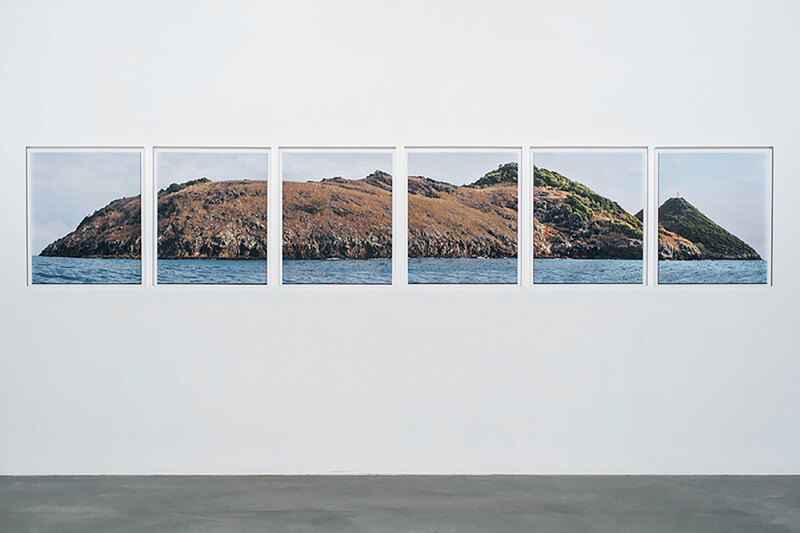 Novas Geografias, 198 Gallery, London, UK. Novas Geografias, Plataforma Revólver, Lisbon, Portugal. Novas Geografias, Imagem HF, Amsterdam, The Netherlands. 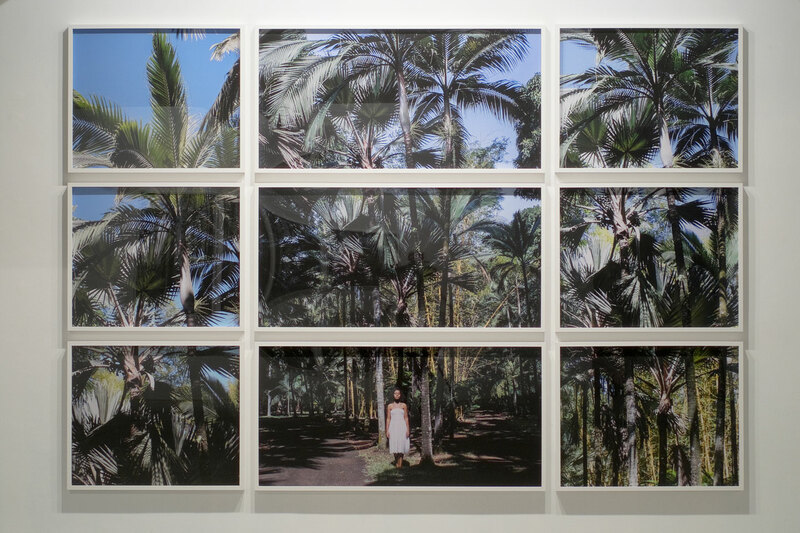 Being Her(e): Meditations on African Femininities, Galeria do Banco Económico, Luanda, Angola. UNTITLED, Tyburn Gallery, London, UK. 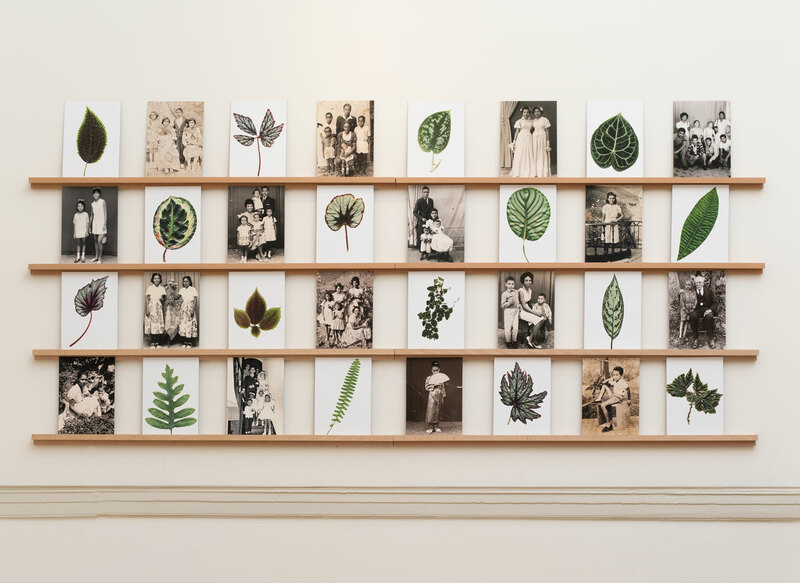 Doublethink Double Vision, curated by Alistair Hicks, Pera Museum, Istanbul, Turkey. Exposição Daqui pra frente: Arte contemporânea em Angola, CAIXA Cultural, Rio de Janeiro, Brazil. A Representação da Figura Humana em Angola, Galeria This is Not a White Cube (TINAWC), Luanda, Angola. The other when we are not looking, FCT/UNL, Almada, Portugal. Contemporary African Art and Aesthetics of Translations, Dak'Art Biennale de l’art Africain Contemporain, Dakar, Senegal. Uma Delicada Zona de Compromisso, Quadrum Galeria de Arte, Lisbon, Portugal. 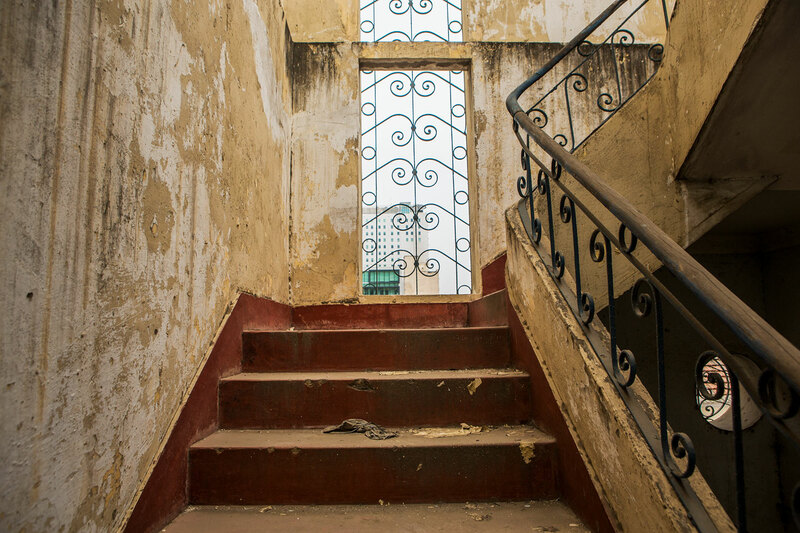 Telling Time, Rencontres de Bamako - Biennale africaine de la Photographie, Musée National du Mali. Bamako, Mali. Ilha de São Jorge, 14th Biennial of Architecture of Venezia, Venezia, Italy. Coleção Carpe Diem Limited Editions, Galeria Fonseca Macedo, São Miguel, Açores, Portugal. A visão incorporada - Performance para a câmara, Museu do Chiado (MNAC), Lisbon, Portugal. Line Trap, Bienal de São Tomé e Principe, São Tomé e Principe. Além Margem(s), Plataforma Revólver, Lisbon, Portugal. L’Art est un sport de combat, Musée des Beaux Arts de Calais, Calais, France. Do silêncio ao outro Hino, Centro Cultural Português, Mindelo, Praia, Cape Verde. 12º Programa de Exposições, Once upon a time, Carpe Diem Arte e Pesquisa, Lisbon, Portugal. L’art est un sport de combat, Musée des Beaux-Arts et de la Dentelle, Calais, France. Os Livros Dos Outros, Centro de Artes e Cultura de Ponte de Sor, Ponte de Sor, Portugal. Tirésias - Video de Artistas Made in Portugal, Centro Cultural de España, Montevideo, Uruguay. She Devil 4. Studio Stefania Miscetti. Rome, Italy. This location, Mojo Gallery, Dubai, UAE. Mundos Locais, Centro Cultural de Lagos, Lagos, Portugal. Do you hear me, Fundação Calouste Gulbenkian, Lisbon, Portugal. United Nations, Singapore Fringe Festival, Singapore. 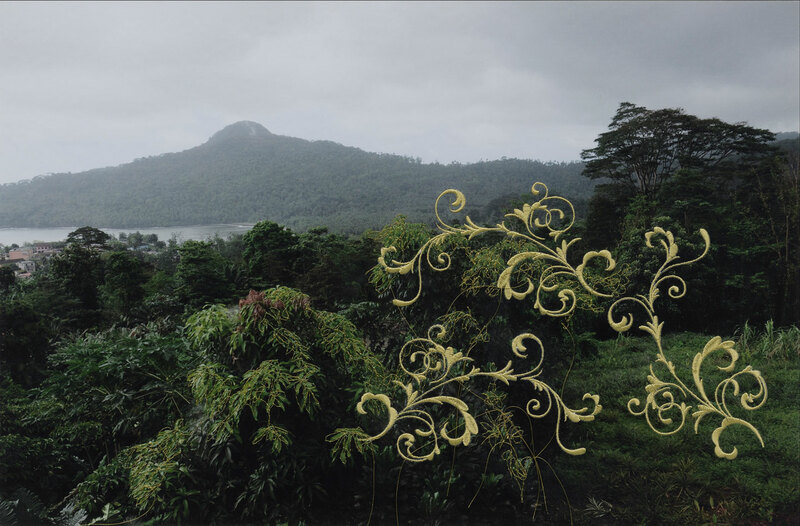 Mónica de Miranda: Geography of Affections, artist’s book with text by Mónica de Miranda, Gabriela Salgado, Carlos Garrido, Ana Nolasco, Ana Balona de Oliveira, and Emília Tavares. New Geographies. Design by Gavin Harry. Red Gate Residency, part of the Hangar Network Residencies in Transit programme, Red Gate Gallery, Beijing, China. Walk and Talk Festival, Sao Miguel, Azores. Académie des Beaux-Arts (ABA) Kinshasa, Democratic Republic of Congo. Archipelago. French Institute. Port Louis, Mauritius. Verbal Eyes. Tate Britain. London, UK. Muyehlekete. Museu Nacional de Arte. Maputo, Mozambique. Living Together. British Council/Iniva. Tbilisi/London. Georgia/UK. 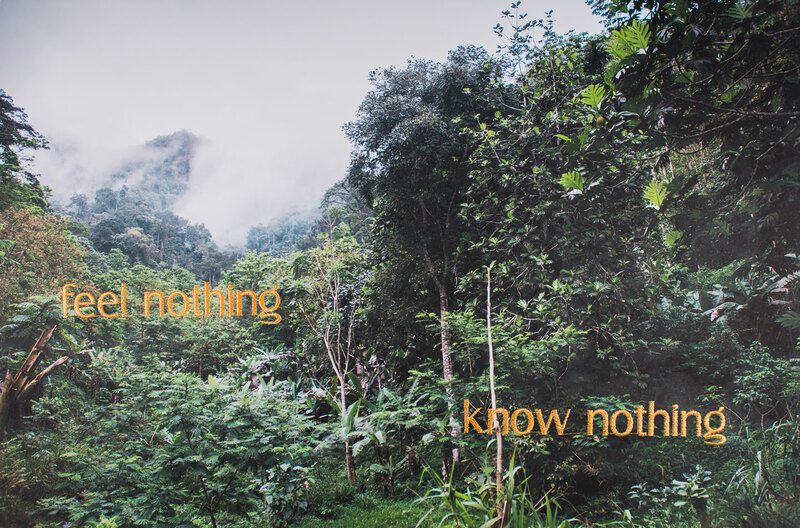 Kisito, Assangni, The Aestheticized Interview with Monica de Miranda (Portugal/Angola), artdependence.com, 15 March 2019. Adriano, Mixinge, Putting the Finger in the Wound, contemporaryand.com, 06 February 2019. Spero, Josh, Art for Sale, Tatler, Vol. 312, No. 8, August 2017, p. 49. 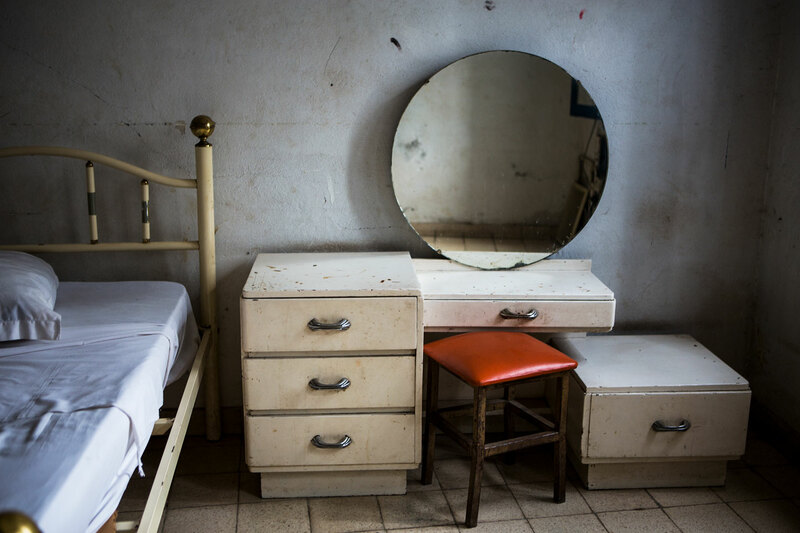 Siddons, Edward, Mónica de Miranda’s best photograph: a ruined hotel in Angola, theguardian.com, 13 July 2017. 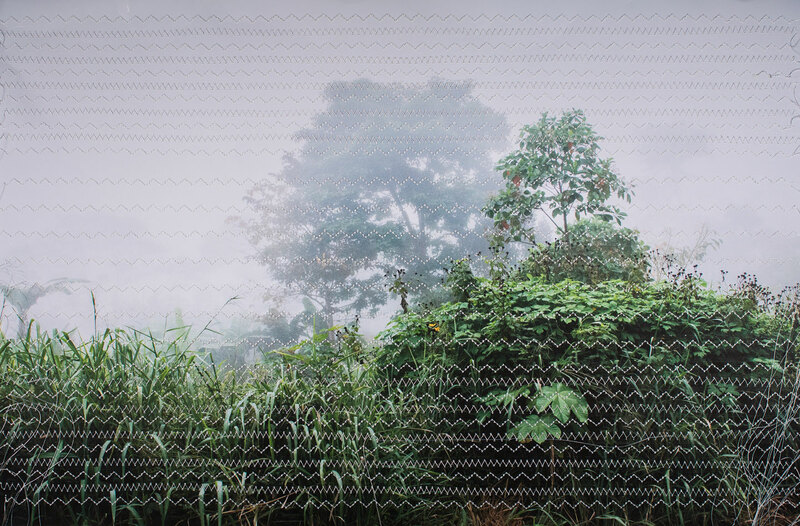 Balona de Oliveira, Ana, Panoramic in Moving Fragments, or Mónica de Miranda’s Twin Visions of (Un)Belonging, buala.org, 5 July 2017. 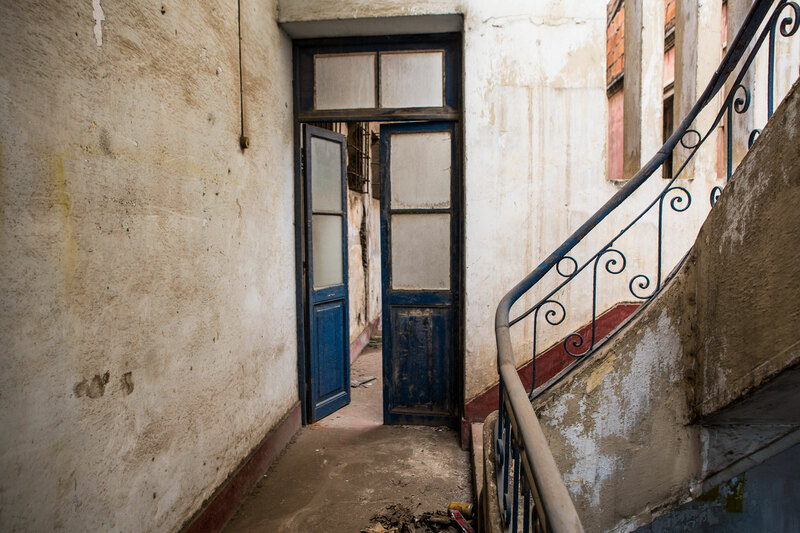 Walsh, Brienne, A Modernist Paradise Haunted by Ghosts: Mónica De Miranda's Images Of The Hotel Luanda, forbes.com, 18 June 2017. 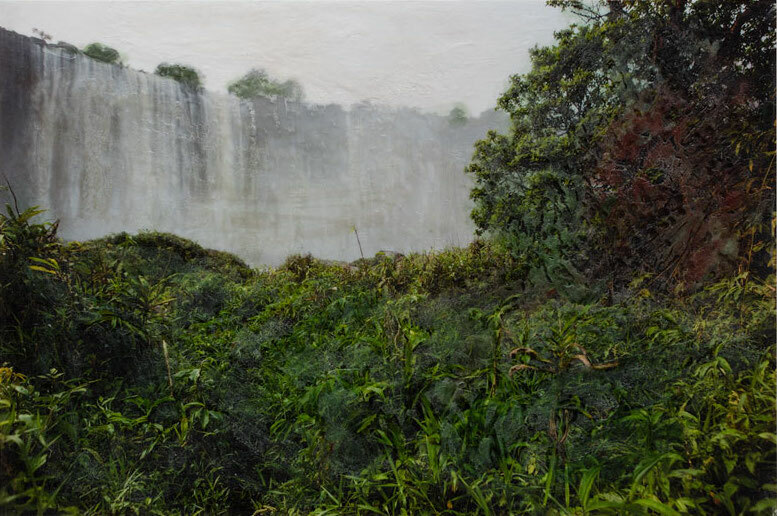 ---, MÓNICA DE MIRANDA: PANORAMA, whatsonafrica.org, 7 June 2017. 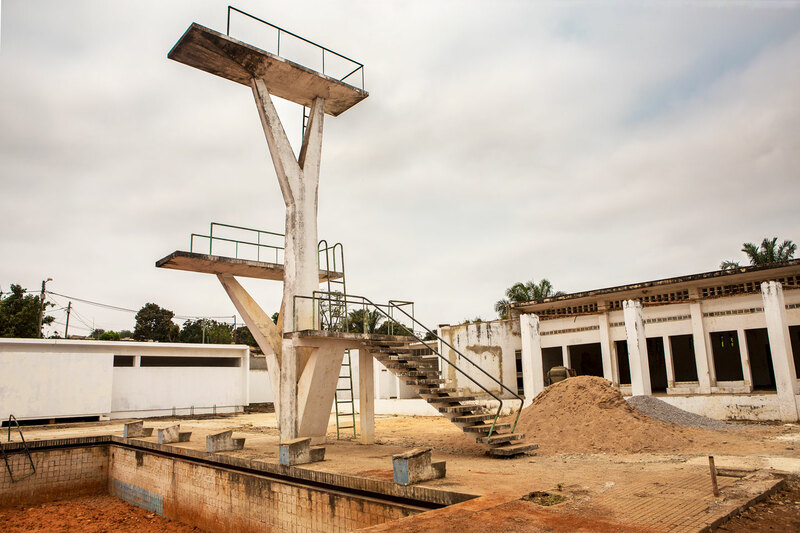 Rawley, Lena, A Photographer Travels to Angola to Trace Her Family’s Roots, nymag.com, 12 May 2017. 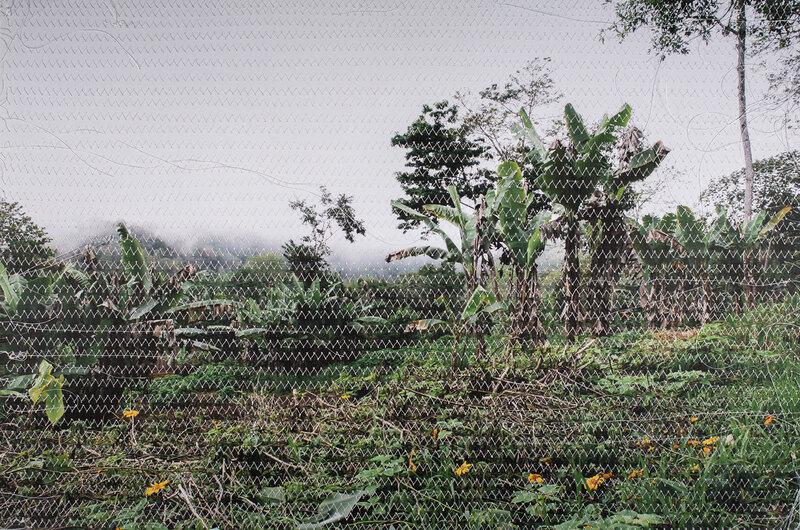 ---, Mónica de Miranda’s PANORAMA, artweek.com, 10 May 2017. Lenot, Marc, Passé colonial et Prix Photo Novo Banco, lemonde.fr, 22 June 2016. Finalist, New Artists Award, Fundaçao EDP, Portugal. 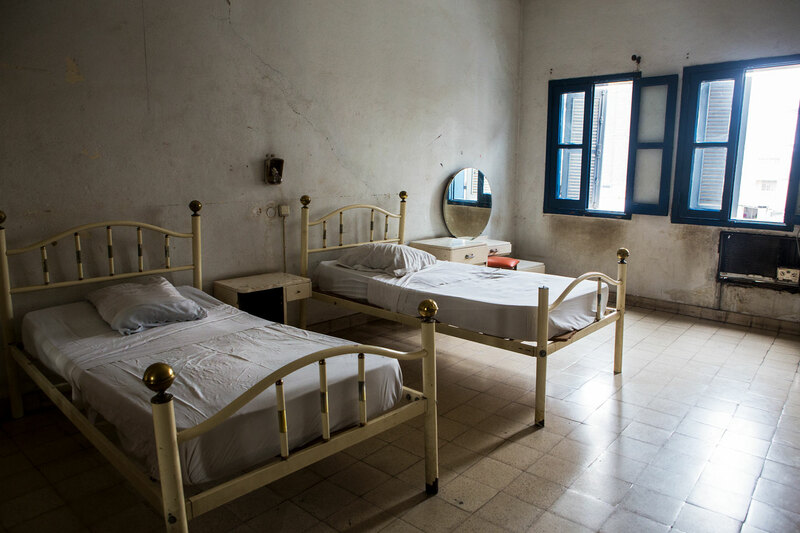 Finalist, Novo Banco Photo Prize, Portugal. Nominated, Prix Pictet Photo Award, France. Museum of Art, Architecture and Technology (MAAT), Lisbon, Portugal. Museu Nacional de Arte Contemporânea do Chiado (MNAC), Portugal. Arquivo Municipal de Lisboa, Portugal. Centro Cultural de Lagos, Portugal.